Looking for cheap car hire at Corvera Murcia Airport (RMU)? 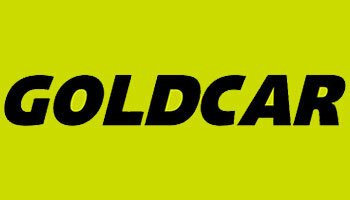 Our car hire comparison search engine will find you the very best car rental rates. We compare prices for all the car rental companies at the airport. We are delighted to bring our visitors a comprehensive airport car hire comparison service which will allow you to get the very best deals on your car rental at Region de Murcia International Airport – RMU. Use our search facility above to find the cheapest deals and book today. 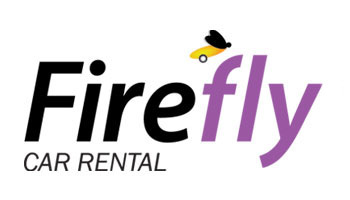 Below are details of the different rental companies at the airport, local area guides and driving information. 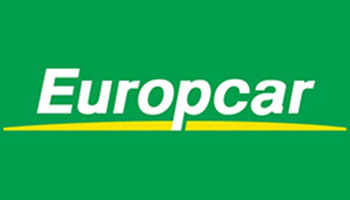 What’s included with your car hire? 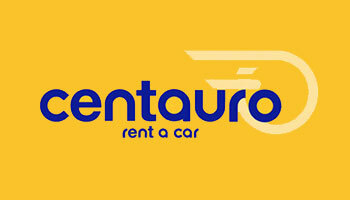 Where are the car rental companies located? The following car rental companies all have physical offices on-site at the airport. Where are the Car Rental Company Offices at the Airport? The main care hire companies are all based just across the road as you exit the main terminal building. What do you need to drive in Spain? To drive in Spain you must be 18 years or older. To hire a car, you must be 21 years or older. You need a current driving license if you come from an EU country, Norway, Iceland or Liechtenstein. If you come from another country, you must have an International Driving License. When you are a EU citizen you can use your foreign driving license for up to 2 years and when you are from outside The European Union you can use your license for 6 months. After these periods, most residents have to get a Spanish driving license. What do you need to carry when driving in Spain? Two warning triangles if the car is Spanish registered, as well as carry a complete set of spare bulbs, fuses, a spare wheel and the tools to replace them. A high-visibility jacket must be worn when getting out of the car on the road or the hard shoulder. If your driving license mentions that you wear glasses or lenses you need to carry a spare pair. If you drive your own car and you are from an EU member state, Switzerland, Norway, Iceland, Liechtenstein, Andorra or Croatia, your driver’s license and insurance documentation with its payment receipt is enough. If you are from Albania, Bosnia-Herzegovina, Byelorussia, Israel, Iran, Morocco, Moldavia, Republic of Macedonia, Serbia, Montenegro, Tunesia, Turkey, Russia or the Ukraine, you will need to have a Green Card –the International Motor Insurance Certificate. If you are from a country not mentioned above, you’ll need a Frontier Insurance policy (an obligatory temporary third-party policy for motor vehicles). We recommend to contact the Spanish Embassy of your country to verify the latest regulations. 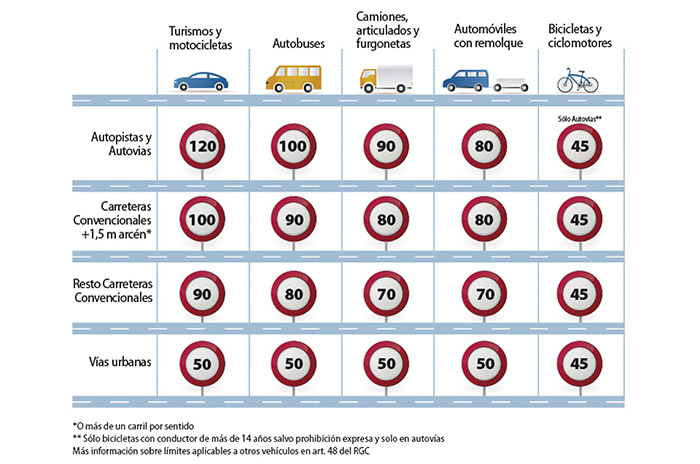 What are the road rules in Spain? Vehicles drive on the right side of the road. Seat belts need to be applied by all passengers. Using a mobile phone is not allowed while driving, unless you use a hands-free system without earpieces. Car radios and mobile phones must be turned off when you take in fuel at the gas station. It is mandatory to wear a high-visibility jacket when getting out of the car on the road. This counts for all passengers. Warning triangles must be positioned if the car has stopped on the road. The use of radar detectors is illegal in Spain. It is prohibited to hold children in your arms or on your lap for all passengers. Under no circumstances it is allowed to leave children unsupervised in a car. Children measuring less than 135cm are obliged to sit in a child restraint system adapted to their size and weight and in the rear seat. Exceptions are 1. when the car has no rear seats and 2. when the back seats are occupied by/with other children. For engaging in any activity that prevents you having both hands on the steering wheel is prohibited. Drivers approaching a roundabout have to give priority to those who are already on the roundabout. Alcohol levels in the bloodstream of drivers and cyclists must not exceed 0.5 g/l (0.25 mg/l in exhaled air). Fines for exceeding this amount start at 500 euros. Spain operates a zero-tolerance policy on drug-use whilst driving, sanctioned with a 1000 euros fine and the possibility of a prison sentence. Helmets are obligatory on motorbikes, mopeds and bicycles. In many places the parking areas are regulated and subject to payment. In general, parking is prohibited along yellow lines and subject to payment where there are blue lines. Since January 2019 these are the current maximum and minimum speed limits on motorways, conventional roads and residential areas. Not mentioned are the unpaved roads with a speed limit of 30 km/h. Speeding fines start at 100 euros, for speeding 1 to 20 km/h over the limit, 300 euros for speeding 21 to 30 km/h over the limit, up to 600 euros for speeding 50 km/h over the limit. Speeding more than 50 km/h can result in loss of your driver’s license and 6 months prison.